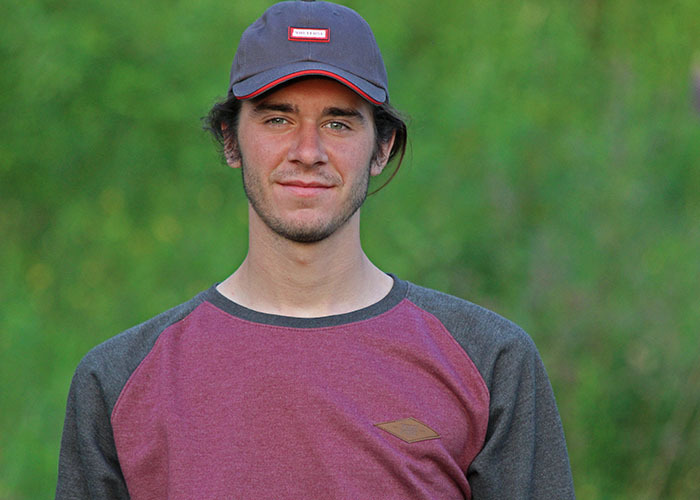 ALEX HENNIFFENT FELL in love with snowboarding in junior high. He knew right away, though, that his chances of making a living as a professional snowboarder while living in Central Newfoundland were slim. So, he did the next best thing: he started a business. “I wanted to create a brand that was truly rider-owned and driven: owned by snowboarders, operated by snowboarders, and propelled forward to satisfy the needs of snowboarders,” he says. In 2010, he launched VOLTFUSE, which focuses on headwear, face wear and technical apparel. By the time Mr. Henniffent graduated high school, he’d been running a successful business for three years and, he jokingly admits, “I kind of thought I knew everything.” Nonetheless, he completed a bachelor of business administration at Memorial’s Grenfell Campus — and “it was hugely valuable.” His connection to the university isn’t done: Mr. Henniffent secured a spot in Memorial’s Centre for Entrepreneurship in September 2018. VOLTFUSE has been growing by about 55 per cent each year and the company currently sponsors 20 athletes internationally. Mr. Henniffent has five retailers in Newfoundland and Labrador, but most business comes from outside the province, through online orders.